$29.95 ea. $28.95 ea. $26.95 ea. $24.95 ea. Start the next chapter of your life on the right foot by crossing the graduation stage wearing a Greek Graduation Sash Stole from Greek Gear. The sashes are made of premium bridal satin and measure five inches wide by 60 inches long to fit most wearers. 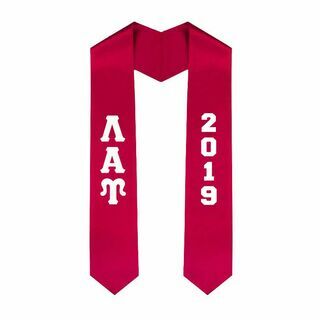 We offer the Graduation Sash Stoles in 12 popular Greek collegiate colors including black, white, pink, maroon gold, navy blue and more. 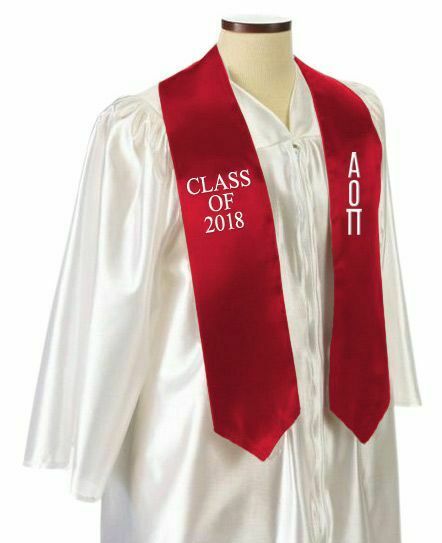 The sashes are decorated with your choice of Greek letters on the left and your own custom text on the right which can include your year, chapter or other special text. 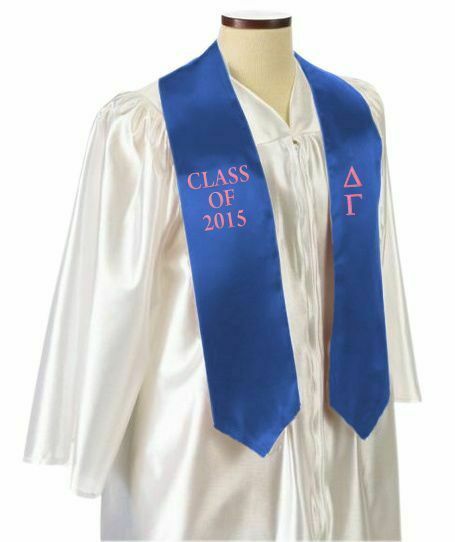 Our graduation stoles have a traditional shape with pointed ends. They are meant to be worn around the back of the neck and over the graduation gown. The satin sashes are a fun and affordable way to show off your Greek pride on your graduation day. Order Your Honor Cords Here!